Welcome back to our continuing blog series on Licensing. If you’re just joining us, you can see the earlier posts about Desktop, Webfont, App and Ebook licenses. 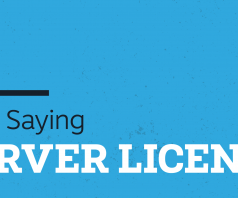 We have arrived at part 5 of our license series, finally transitioning into our custom licenses. This is a bit different. We do still have a “standard” license, but often there are clauses changed for various customers. This blog post will be focusing on Product Creation, or what is sometimes known as a “server license”. 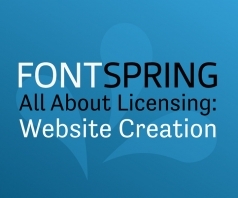 This license allows users to create sites where their customers can design their own products. These types of products are usually things like business cards or invitations. Customers can then purchase and print them out. 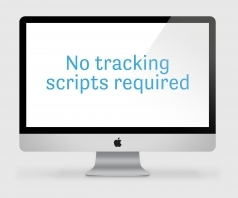 Think of this as basically like a limited desktop license for our user’s customers. The product doesn’t have to be cards, it’s just anything where the user customizes the type from an interface. The reason this is a custom license is because there are many factors that go into pricing. What products and how many are you planning on offering? Which fonts are you interested in? Note that just like all of our other licenses, our product creation licenses are perpetual as well. Buy it once, use it forever! As for limitations, usually our product creation licenses are limited to one product “platform”. So if you have a site where you sell T-shirts and mugs but then decide to branch out into a new site that sells cards, you’ll need another license to sell the cards. 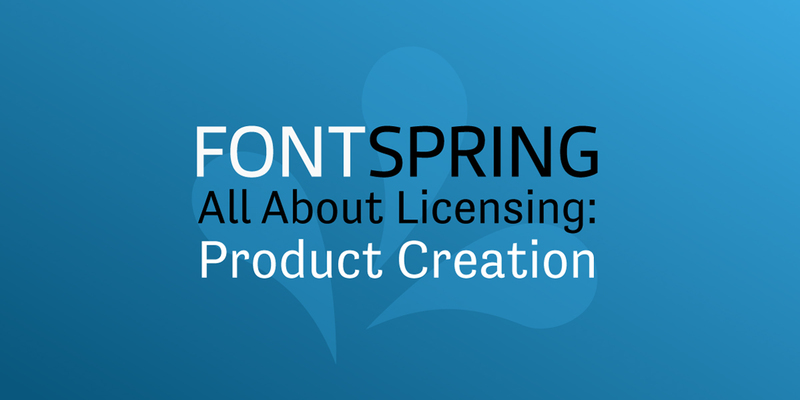 As with all our custom licenses, we can negotiate on anything, so if you have any questions, support(at)fontspring(dot)com is the place to ask!